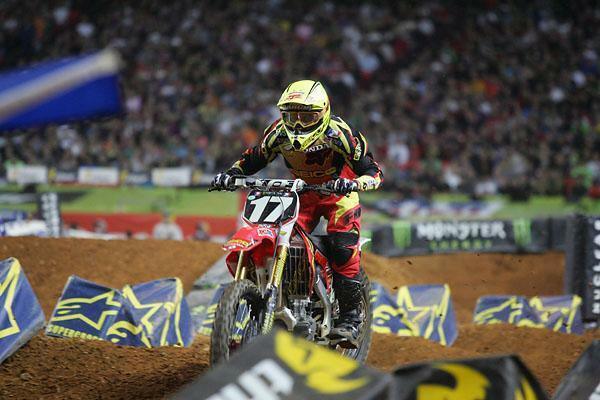 Barcia suffered a wrist injury in Atlanta, but will be racing in Daytona. Comment: Fractured his femur, L4 and L5 vertebrae in a practice crash at Anaheim II. Please visit the link to view a video from Daniel Blair, where he explains his crash, his injuries and his future. Also, a PayPal account has been set up to help Daniel and his family. If you are in a position to donate, please click here. Comment: Out of the hospital and doing better every day. Tommy Hahn suffered more bad luck in Atlanta, and will be out until Indy. Comment: Broke a bone in his foot after colliding with Dean Wilson in their heat race in Houston. According to his team manager, Chad Sanner, Darryn is out till Jacksonville. Comment: In a statement released by Honda, Josh Grant recently underwent additional surgery to his right knee today to repair his Anterior Cruciate Ligament (ACL), the result of an injury he sustained at the Phoenix SX. Josh is expected to make a full recovery and it’s anticipated he will make a return to racing early in the summer. Comment: Bruised ribs in a crash in Atlanta and will be out till Indy at the earliest. Comment: Hahn during the first practice session at Anaheim 1 and landed on his back. Hahn suffered a compression fracture of his T-5 vertebra. It’ll be a few months before Hahn can resume his training routine. Izzi suffered bruised ribs in Atlanta, but plans on racing this weekend in Daytona. Comment: The Spokane, WA, privateer broke his wrist just days prior to Anaheim 1 and is hoping to return to action in Seattle. Comment: Bruised his ribs when he crashed in his heat last weekend, but he was back on the bike early this week and is 100 percent ready to go for tomorrow. Comment: From team PR: "Team San Manuel Yamaha Red Bull’s Kyle Regal was injured this week while practicing in Florida for the Daytona Supercross race. Medical evaluation has revealed broken bones in his wrist, including the scaphoid bone." Comment: According to his team manager, Austin had a nasty crash at Milestone the Tuesday prior to the Atlanta SX and sprained his right ankle. Initially it was thought to be broken, but it turned out to just be severely bruised and swollen. He will sit out Daytona and will continue to do therapy to try and be ready for Indy. 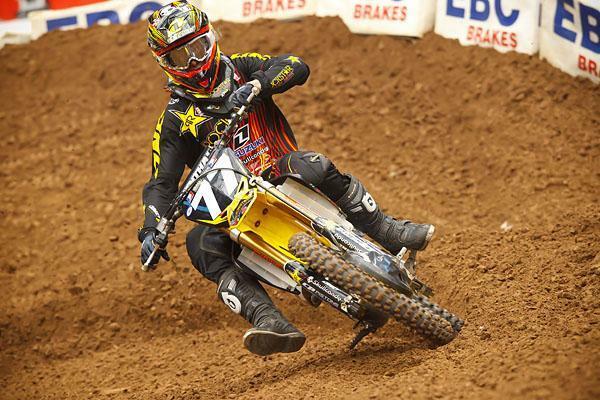 A collarbone injury sidelined Trettel in Atlanta, but he is ready to go for Daytona. Comment: He rode everyday this week and is ready to go for tomorrow. Comment: Crashed in Atlanta and reports are that he suffered a broken wrist, punctured and bruised lung, five broken ribs, broke a wing off of his spine and a concussion.